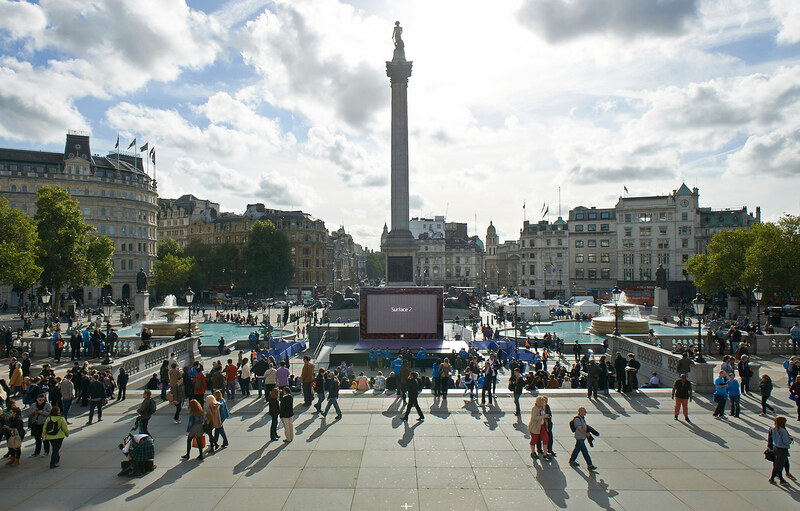 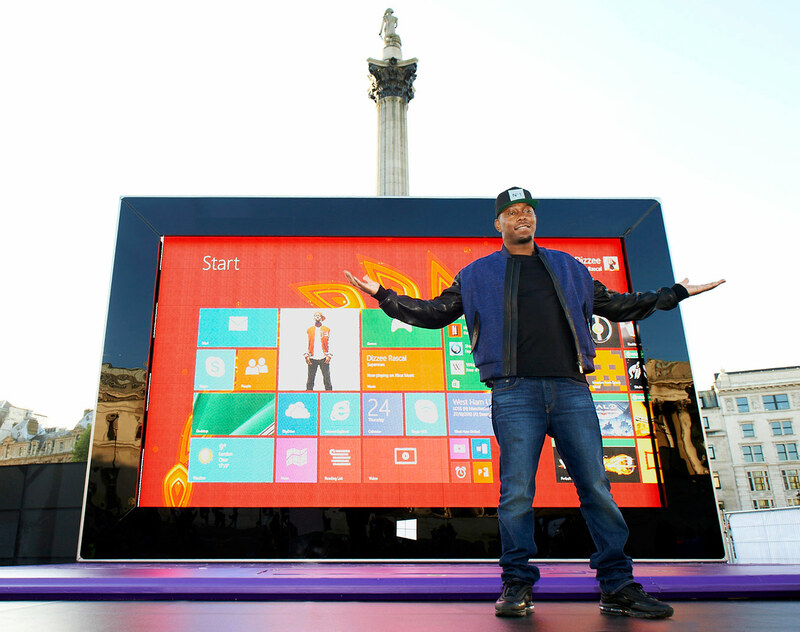 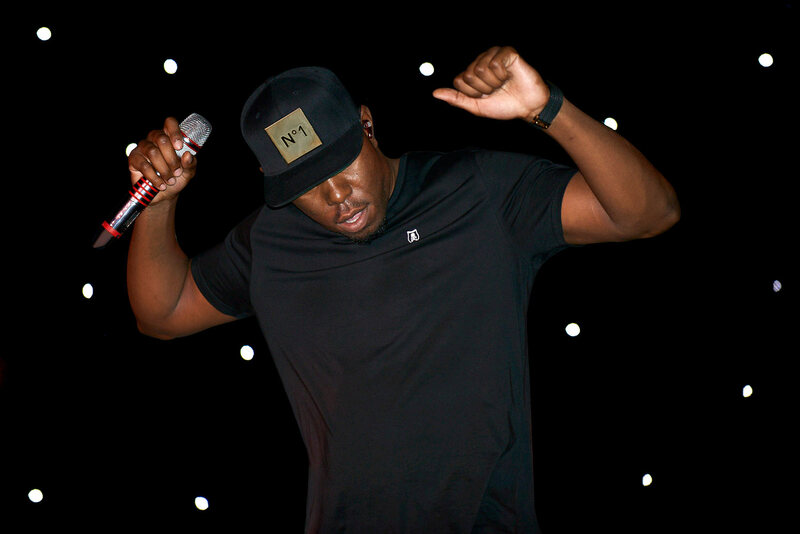 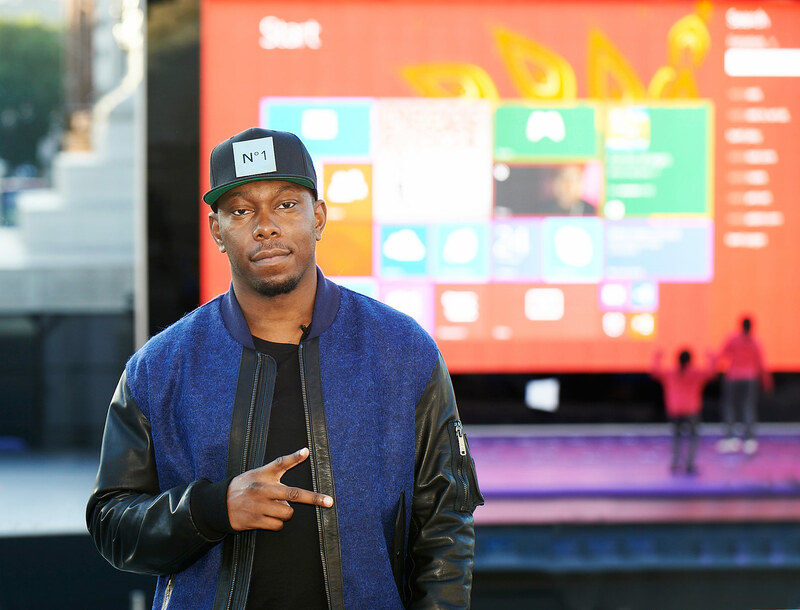 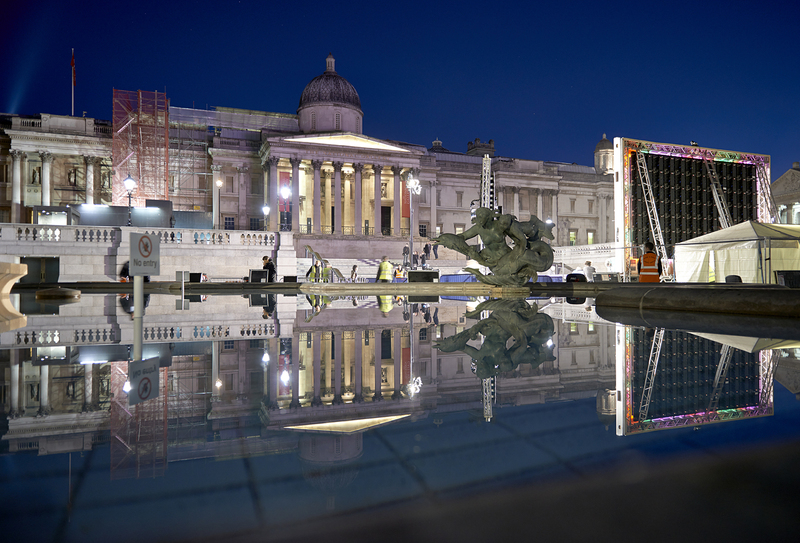 Dizzee Rascal helped Microsoft launch the 2nd version of their Surface tablet in a large scale event in Trafalgar Square, central London. 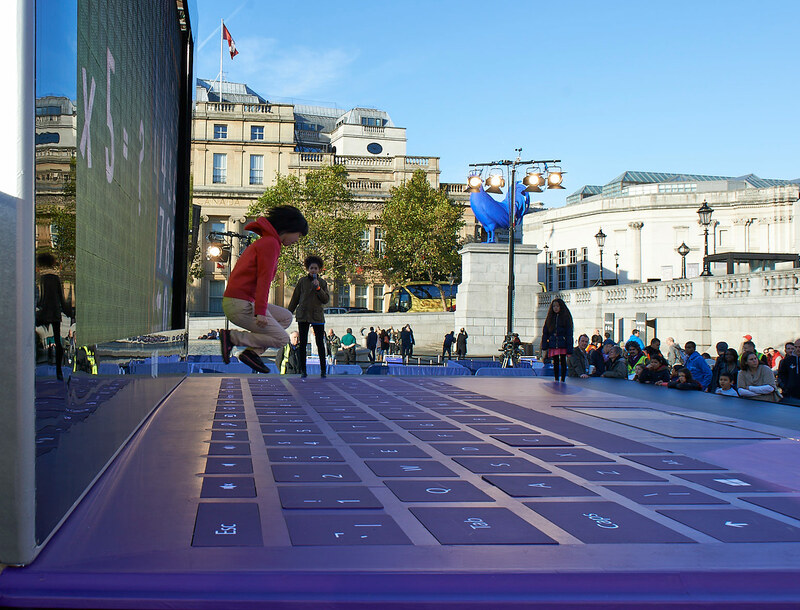 The technicians built the stage to look like a perfect scaled up version of the Surface 2 with a touch sensitive keyboard which was the centre of all activities throughout the day. 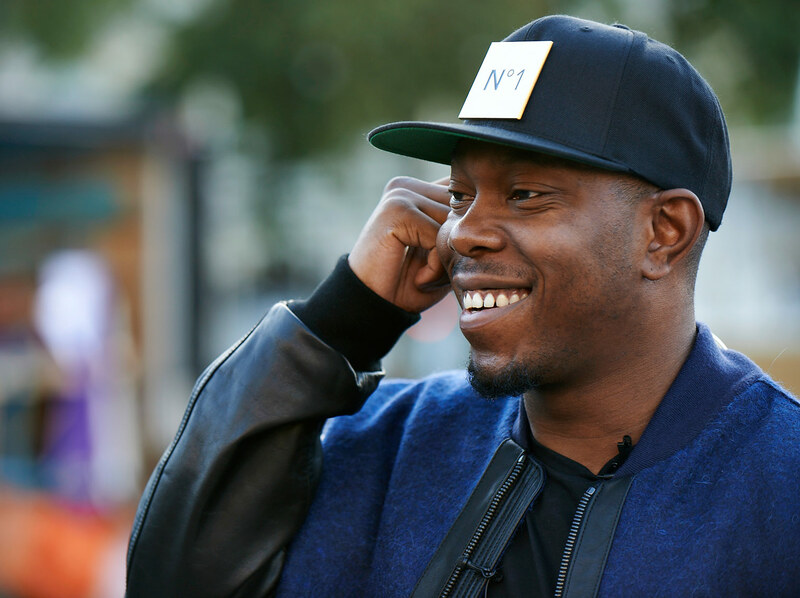 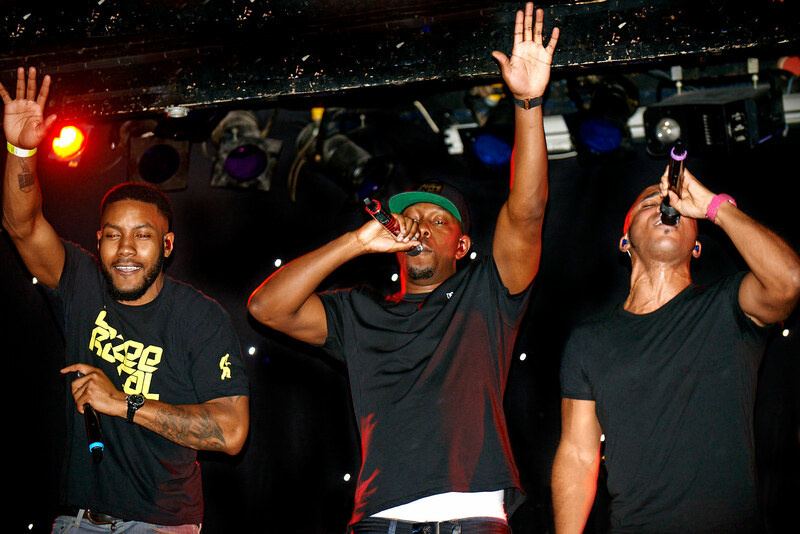 Dizzee answered questions and Skyped people during the day and performed at a secret gig at Madame JoJo’s in the evening.